← South Africa – Rhinos, leopards and tigers oh my! 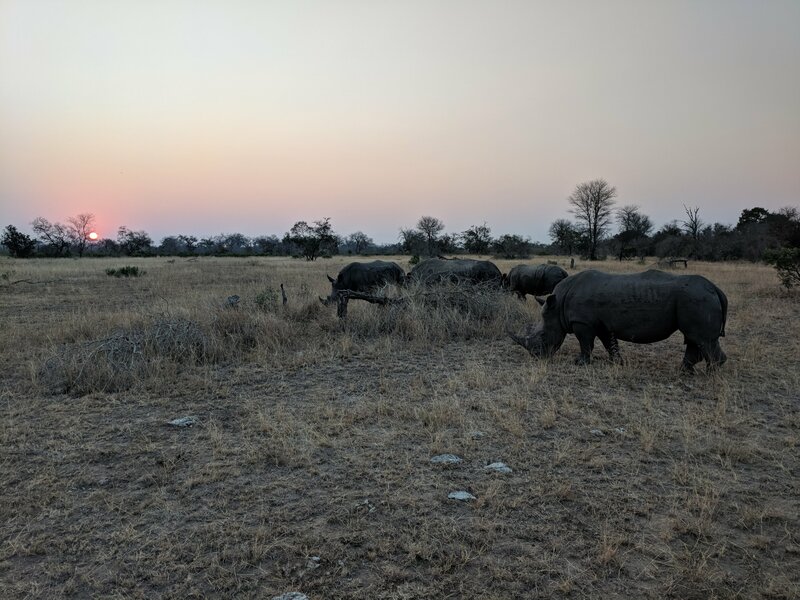 It is our last day exploring Kruger National Park and we wanted to share some of the wildlife delights we encountered when the sun was setting and rising above the South Africa bush. We wanted to stop and have a sunset cocktail out in the bush, but we were surrounded by buffalo who were tracking…I guess we better find a better spot! 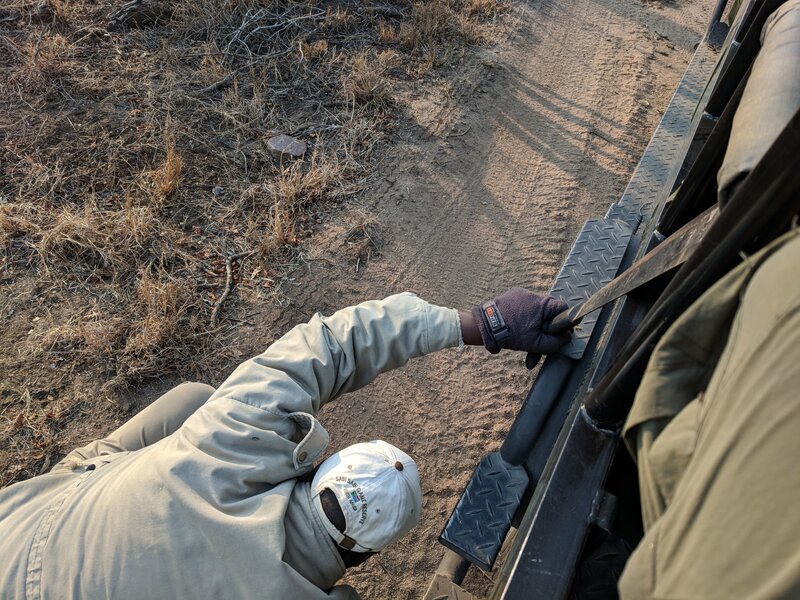 Fortunately, our tracker was armed and ready to take any snakes that tried to jump up into our Land Cruiser and take over the controls. 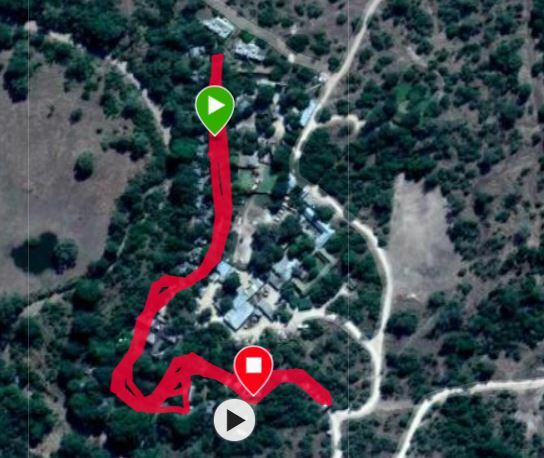 Fortunately, a female hyena led us to a great location based on her experience. 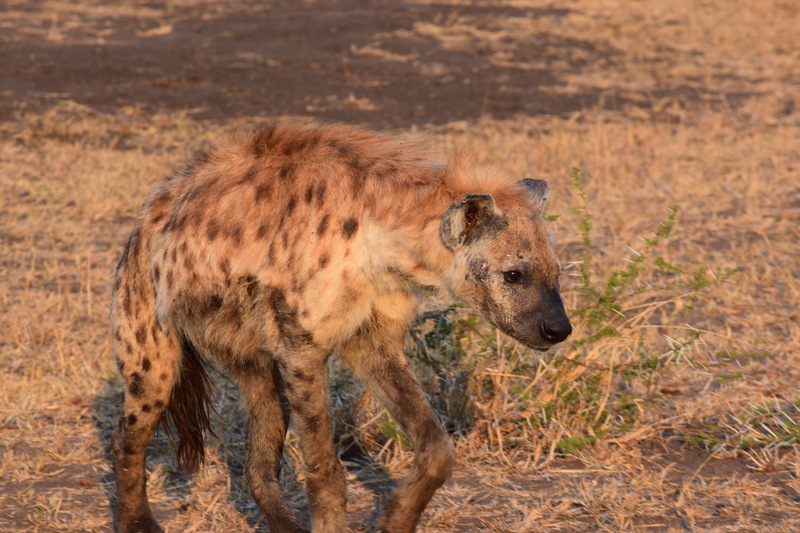 Did you know that all hyena have both male and female organs? 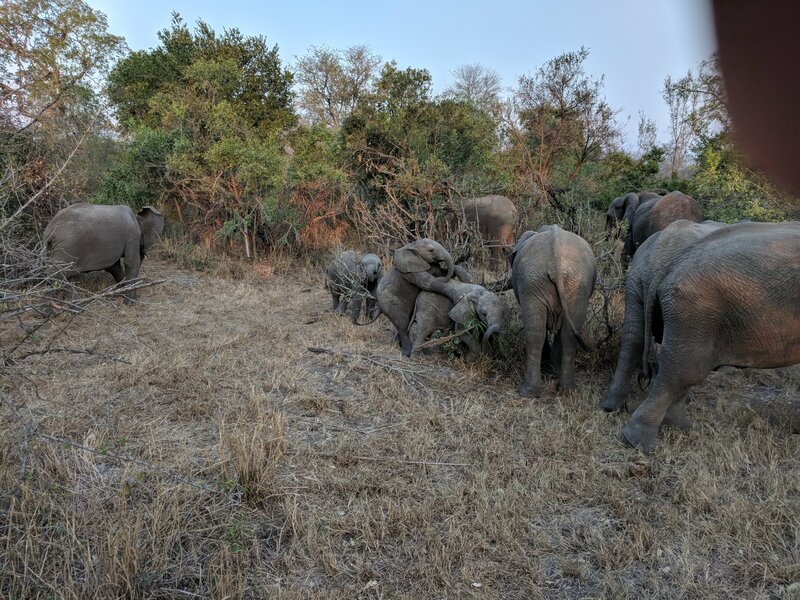 After dinner time, the young elephants like to play leap frog and jump over each other…sometimes the parents need to keep them aligned when they get out of control. Nearby, we found the opposing wildlife cricket team getting ready for their next day’s game with the elephants. The rhino cricket team can be quite a competitor we were told from the ranger. OK – headed back to the lodge for a late night dinner. Read on for the morning discoveries! This was all last night, now lets describe the following morning. We woke up a leopard having a morning snooze after they had a big breakfast. 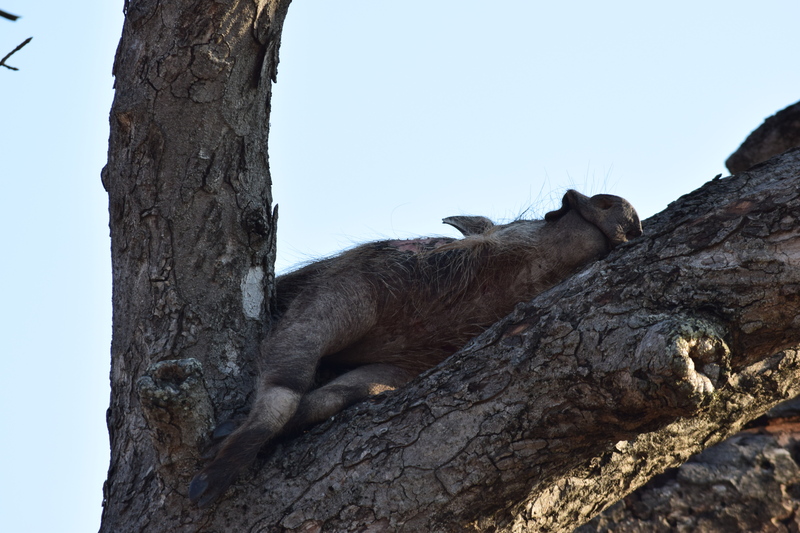 He was so nice and offered to share some of his leftover warthog he left in the tree for us in case we were hungry. What hospitality! And the opposing elephant team for the legendary cricket match were having their pre-game meal. I captured a short video showing up an adult elephant strips bark from branches as their favorite delicacy before a big game. 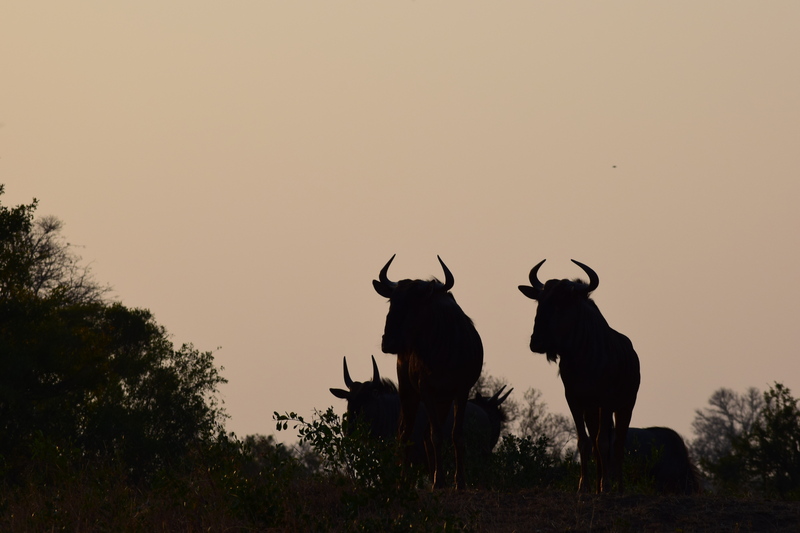 In closing, the Kruger National Park and surrounding game reserves are true delight and experience that is hard to understand and appreciate until you arrive. 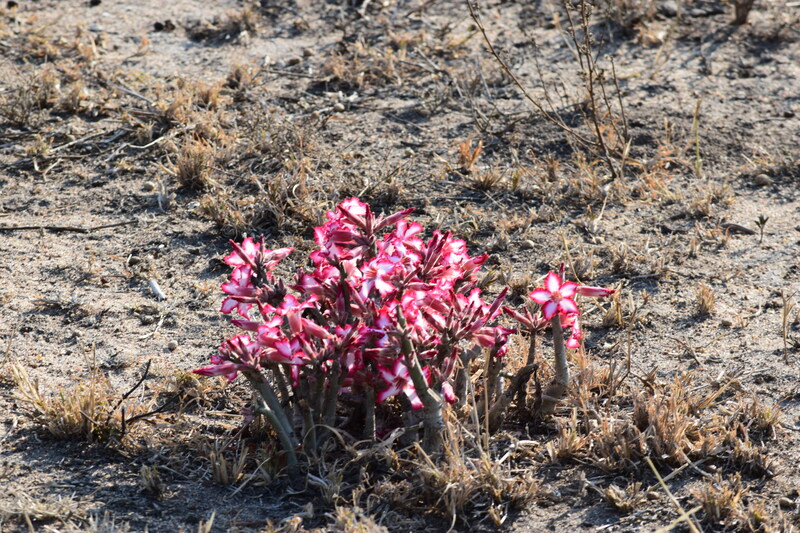 You can find magical gems in the bush every turn and you never know what you will see next! 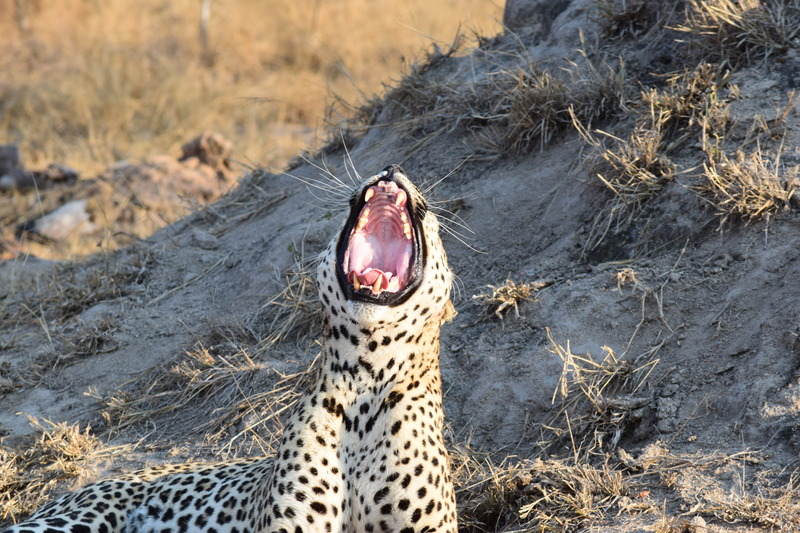 This entry was posted in International, Travel, Uncategorized and tagged Safari, South Africa, Travel. Bookmark the permalink.